Restaurant takeovers, mystery boxes, some pate looking thing garnished with an apple slice by a girl named Oona? 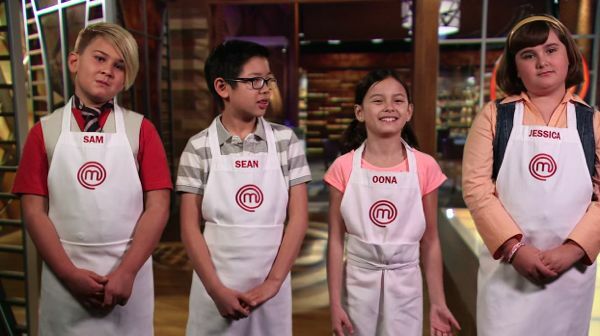 It can only be one thing: Masterchef Junior time. The kids loved Season 1 in our house. OK fine, we did, too — how cool to introduce the idea early that cooking can be fun. Season 2 premieres tonight, November 4, 8PM. us, too! my son loved to see little kids using knives. this might be his year to finally get in the kitchen with me! he’s 7. #newslettergiveaway We watched this due to your suggestion and LOVED cheering on our favorites! Then I read an article demystifying the whole show, about how they give the kids classes, shoot retakes, stage most of it. Soooo depressed. I need to win a platter to cheer up.